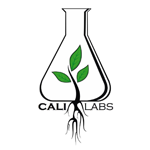 Started in 2000, Cali Labs has been on the forefront of cannabis cultivation and extraction processes. With one of the first cannabis plant tissue culture labs in California, they have been leading the way in genetic storage and mass micro propagation techniques. Through there research they have also perfected and patented extraction, isolation and purification techniuqes for many compounds found in the cannabis plant including cannabinoids that contain there carboxyl group, decarboxylized cannabinoids as well as terpene isolation. Being on the forefront of cannabinoid purifications has given Cali Labs a uniuqe place in the cannabis market. Being able to produce pure cannabinoids though patented processes that take less solvent and energy than other processors has really made Cali Labs one of the leading cannabis labs in the world. 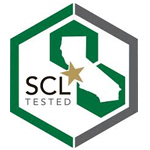 SC Labs is a cannabis research and lab-testing facility based in southern California. Through their partnership with Weedmaps, they have become one of the most recognizable names in testing. 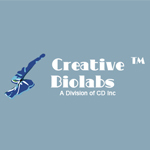 They offer consulting services and contaminate screenings, as well as cannabinoid and terpene profiles. Marigene provides plant genetic research services to the Cannabis industry to facilitate plant identification, plant related product certification, and breeding guidance. Customers seek to gain genetic level knowledge of their plants in order to improve, protect, or ‘brand’ their product. The value proposition offered by Marigene is its ability to provide customers unique, cutting edge genetic information to guide the improvement, efficacy and the legitimacy of Cannabis while also providing a competitive business advantage.